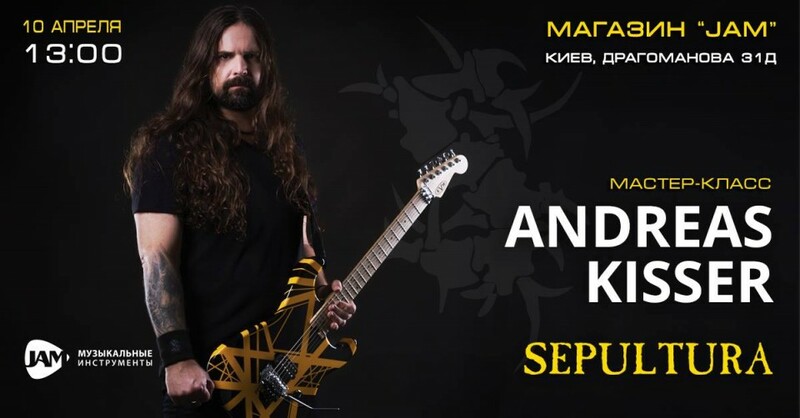 Following the Kyiv’s concert of the Brazilian metallers Sepultura, which will be held on April 9 at the Bingo club, the band’s guitarist Andreas Kisser will give a master class on April 10 in Kyiv. The master class is free for pre-registered participants. The event will take place at the Jam store, at 31D Dragomanov Street. Beginning at 13:00. Also, check out the event page on Facebook. Buy tickets to Sepultura's gig in Kyiv here.